Glasswood Conservation Joinery specialise in Timber window – Period Doors – Stair cases – Sash Windows . We will repair and renovate where possible, but we can make entire new windows if necessary. Attention to detail is crucial in making replacement windows. Is the mould correct for the period? Does the upper sash have horns appropriate to the age of the house, and if so which style? If the building is listed, the original windows have to be faithfully copied, sometimes with hand-made period glass. More than ever we are now being asked to remove ugly, worn, plastic UPVC windows, or a Conservation Officer has ordered the replacement of a property’s inappropriate windows. 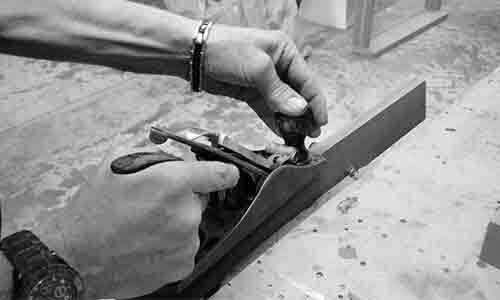 Whatever the situation, Conservation Joinery can meet the challenge, providing a complete solution, which is sympathetic to the property and of the quality customers want and expect. The quality of workmanship in renovation work and the ability to manufacture bespoke sashes to a high specification, of the standard expected by customers, had been missing, but needed. Conservation Joinery has been fulfilling those needs ever since.